Amazon is running a sale on its Fire family of tablets, which brings the price to as low as $60 for the entry-level model. It's common knowledge that Amazon's Fire tablets are among the cheapest slates available on the market, which makes this sale even more appealing. The entry-level Fire 7 Tablet with 8GB costs just $40 ($10 off), while the All-New Fire HD 8 Tablet with 16GB is available for just $60 ($20 off). 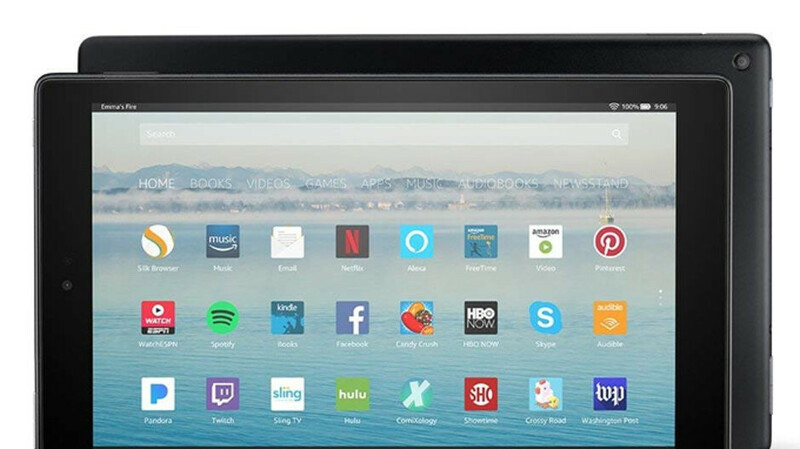 The most expensive item on sale is the Fire HD 10 Tablet with 32GB, which is priced to sell for $120 ($30). Each of these Amazon Fire tablets come in different variations, but just about every model has a smaller or bigger discount. You can even choose between three or four color options: Black, Blue, Red, and Yellow. There's one thing that you should know though, the ad-supported versions have the higher discounts, but the ad-free models are on sale as well for smaller price cuts. Free shipping is included too, so there's no reason to skip this offer if you're looking for a tablet but don't want to spend too much on it. Amazon tablets are so 2000's when it comes to camera quality. I know, I have two Fire7 tablets and won't buy another until they upgrade the lame cameras. You really use a tablet for photography?